Happy 69th BRRRRRRRRRRThday, U.S. Air Force! In a very special episode of "things you didn't know," Team Mighty decided to give a shout out to the youngest branch of the U.S. military and fill in the blanks to help people, civilians and non-Airmen alike, learn a few things about those who live in fame or go down in flame. 1. The Air Force tracks Santa. On December 24, 1955 a newspaper ad told kids that they could call Santa at an included phone number. The number listed called the U.S. Air Defense Command. The colonel on duty ordered his team to give all kids Santa's "current location." This tradition now handles calls from over 200 countries. 2. The Air Force shares its birthday with the CIA. Both were founded on September 18, 1947. 3. The Air Force used to be in the Army. On Aug. 1, 1907, the U.S. Army Signal Corps formed the Aeronautical Division, which later evolved into the U.S. Army Air Force. The National Defense Act of 1947 created an independent Air Force. 4. 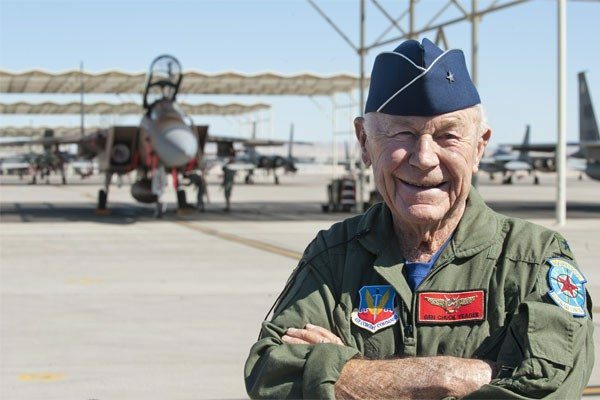 An Airman first broke the sound barrier. In 1947, then-Air Force Capt. Chuck Yeager broke the sound barrier in his Bell X-1 rocket-powered aircraft, kicking off a race of pilots who competed to do the next big thing, eventually leading to outer space and a man on the moon. 5. Airmen welcome their new commander by stomping on his or her roof. A "roof stomp" is an Air Force tradition where airmen welcome a new commander or celebrate a special occasion by climbing up on the commander's roof and making noise while others are banging on the windows and doors. Kind of like an episode of "The Walking Dead" but without the zombies. 6. The Air Force built a supercomputer out of Sony Playstations. The Air Force Research Lab built a supercomputer called the Condor Cluster to analyze HD satellite imagery. 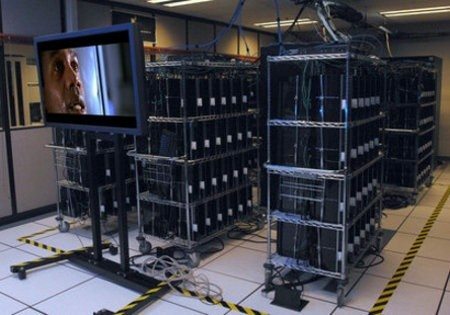 The supercomputer is made up entirely of 1760 Playstation 3's. It's the 33rd most-powerful computer in the world. Looks like they're watching Terminator 2. Appropriate. 7. Airmen get hairier every spring. Every year, Airmen participate in a Mustache March, a tradition where airmen grow mustaches throughout the month of March to honor Air Force legend, WWII and Vietnam veteran, and triple ace Brig. 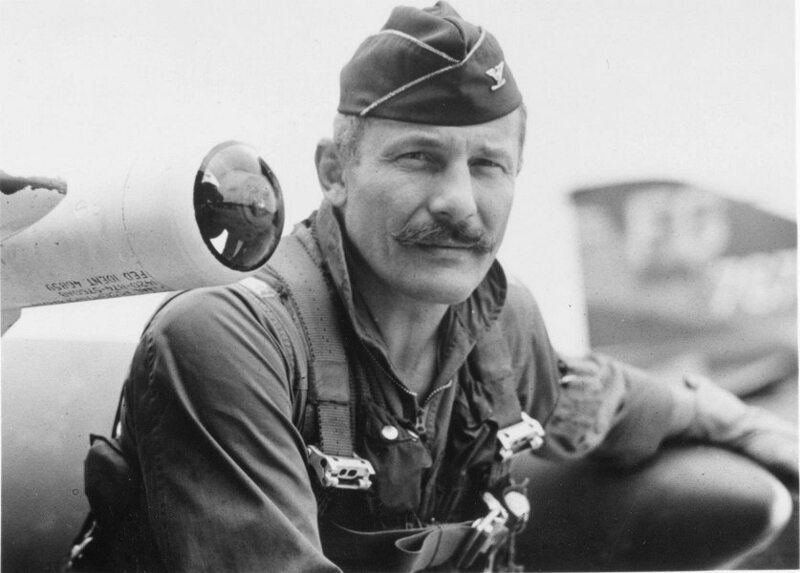 Gen. Robin Olds. 8. An Ace isn't just a good pilot. They're the best combat pilots. An "ace" is a pilot who has shot down five or more enemy aircraft. 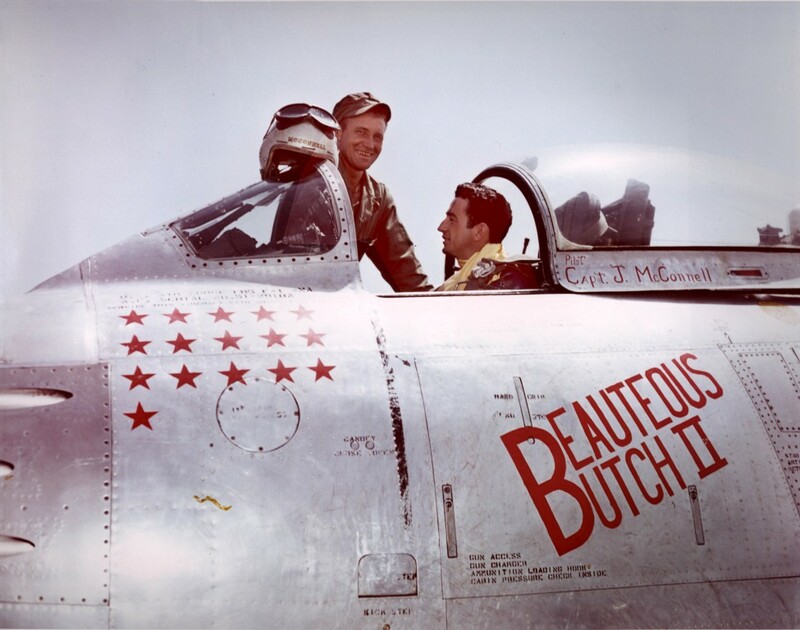 The top jet ace in U.S. Air Force history is Joseph C. McConnell, a "Triple ace" who shot down 16 MiG fighters during the Korean War over a four month period, bagging three on his last combat mission of the war. His record still stands. 9. Airmen respect North Dakota. At the height of the Cold War, North Dakota was home to so many USAF nuclear weapons that if it seceded from the Union, it would have been the third largest nuclear power in the world. 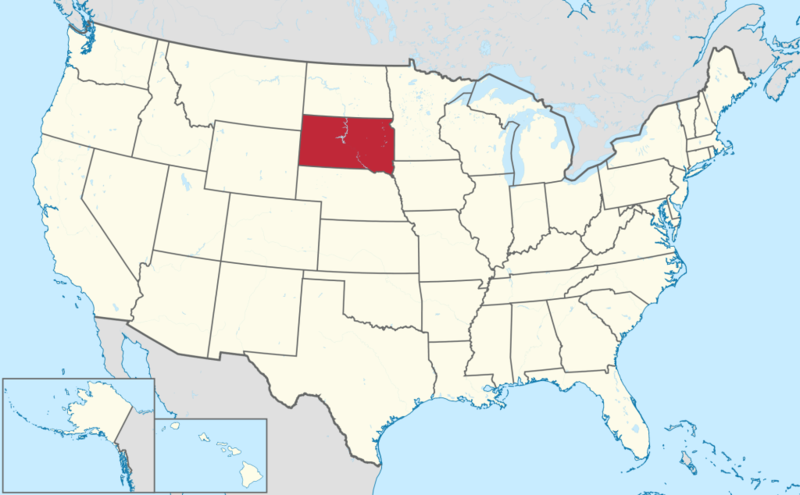 That's not North Dakota, that's South Dakota, but you probably didn't notice because we're not in a nuclear war. 10. Some Airmen took the "Live in Fame" part of the Air Force song to heart. Johnny Cash, George Carlin, Willie Nelson, Morgan Freeman, Hunter S. Thompson, and James Stewart are just a few celebrities who were Airmen. Stewart flew missions in World War II and Vietnam and rose to the rank of Brigadier General while still working in Hollywood. 11. 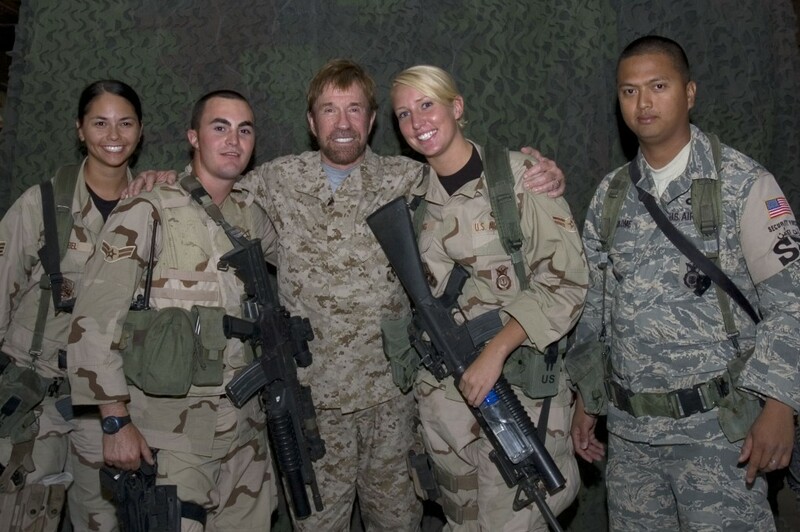 An Air Force tour in Korea made Chuck Norris the man he is today. While Chuck Norris was stationed in Korea, he realized he wasn't physically able to do his job as an Air Policeman (now called Security Forces) and developed an interest in martial arts. This is also where he earned the nickname Chuck. 12. The Air Force boasts two Presidents. Ronald Reagan and George W. Bush served as airmen. Reagan served in WWII when the branch was still the Army Air Forces. 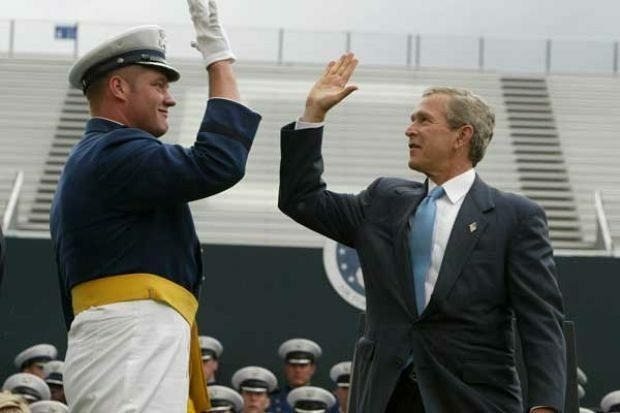 Bush served in the Texas Air National Guard before transferring to the Air Force Reserve during the Vietnam era. 13. "Air Force One" isn't a plane. 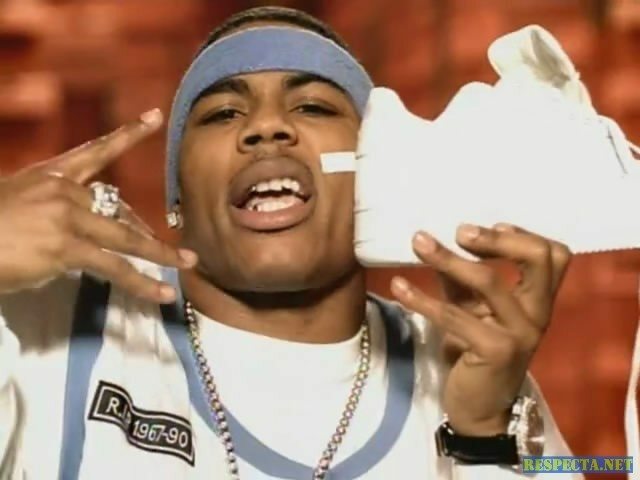 It's not Nelly's shoes either. It's the radio call name for any U.S. Air Force plane carrying the President of the United States. The same as the Marine helicopter carrying POTUS is Marine One. 14. 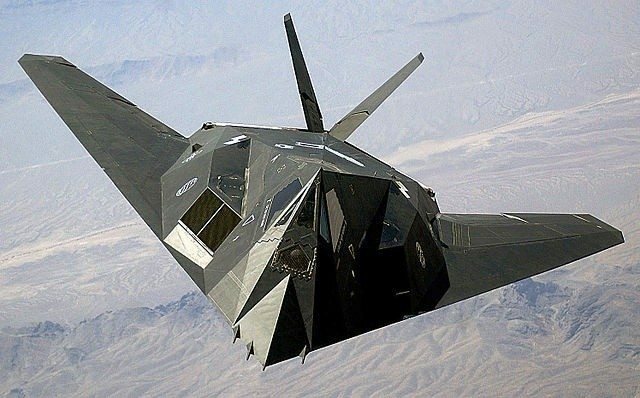 The Air Force's F-117 fighter uses aerodynamics discovered from bumblebee flight. 15. Air Force weathermen are special forces. They go through Army Airborne School at Fort Benning, Georgia, Air Force Basic Survival School, Air Force Water Survival Training, Air Force Underwater Egress Training, Combat Control School at Pope Field, North Carolina, and Special Tactics Training at Hurlbert Field. 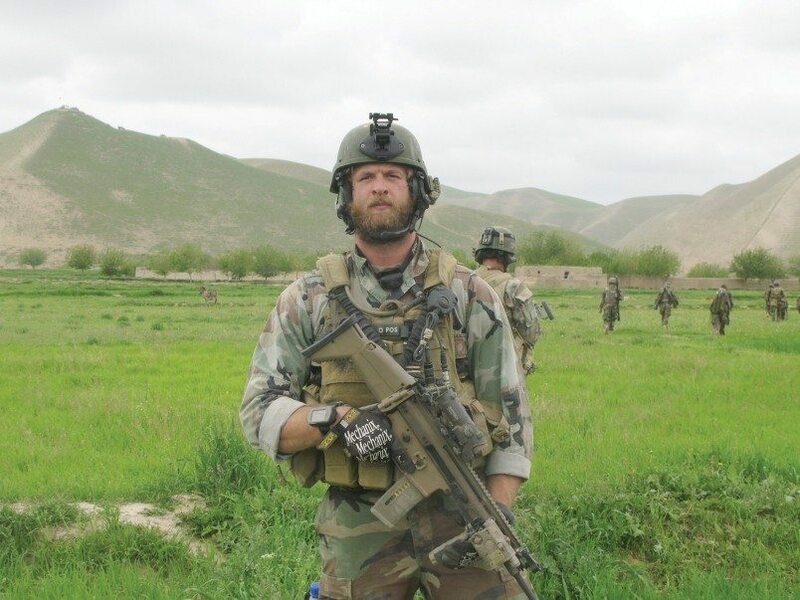 They work primarily with Air Force and Army Special Operations Forces but can also be attached to Marine MARSOC and Navy SEAL teams. "Tonight's forecast calls for Death from Above. Back to you in the studio." 16. The Air Force is the only branch to directly fight the Soviet Union. The U.S. and the Soviet Union fought one pitched battle — a dogfight during WWII over the Serbian town of Niš. The outcome wasn't clear and both governments classified details of the incident. 17. The Air Force has an official band. They do more than Souza marches, they drop singles and shoot music videos.